COS launched the White Shirt Project collection this month. 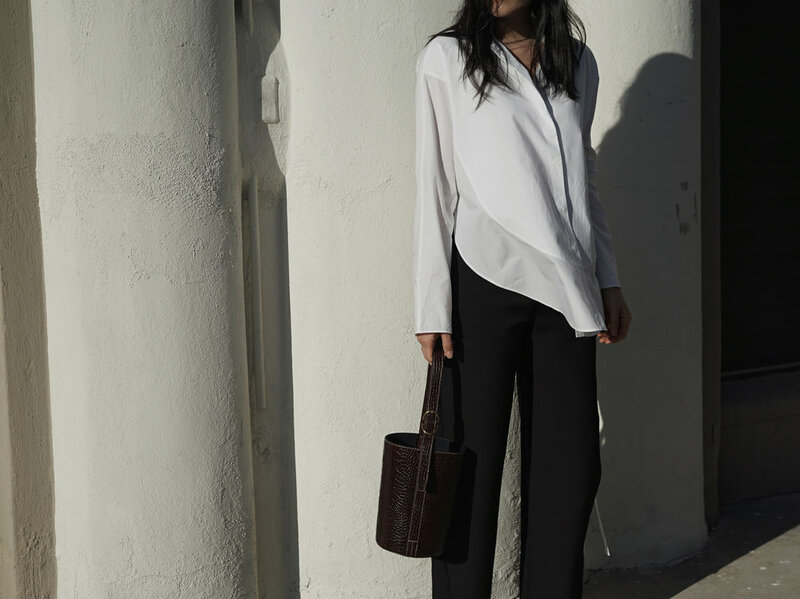 Taking the quintessential white shirt and reinventing its classic style, the capsule collection for women and men focuses on the art of craftmanship exploring a contemporary wardrobe staple. Created for longevity, using styles that transcend trends and seasons. Throw back to my summer in Palm Springs. Hopefully this week was LA's last heatwave. I love a good jumpsuit, it's the one piece that makes summer dressing easy. In Collaboration with Void Watches.